Yup, I know it's still Monday. But since I ain't gonna post up anything tomorrow, this post will still be at the top sticky post until end of Tuesday. Seems legit to have it on "Tuesday Tips" right? I get super turn off whenever I have clumpy mascara. I feel like I just ruined my entire makeup when that happens. After so many trial and error, I have mastered how clumpy mascara can happen. When applying mascara, what you have to do is to move the wand to the left once, and to the right once to get the lashes fall into the bristles of the wand. Then gently pull the wand outward from your eyes. Do not go left and right too much in zig zag motion. The mascara will get stuck on your lashes in clumps. Life is never perfect. 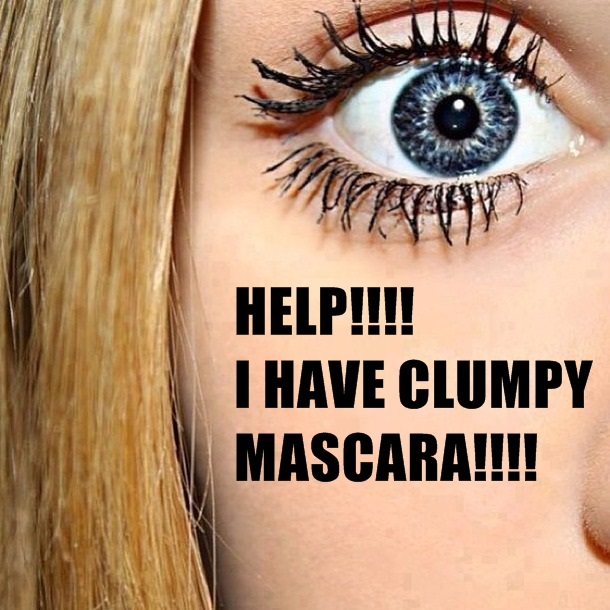 If you're one of those that have eyelashes growing criss cross, you might face clumpy mascara like all the time! You might need to sweep a coat of lash primer, then brush them with a lash brush to separate the lashes. Apply mascara accordingly when there's no more eyelash overlapping each other. I'm one of those who are guilty of keeping mascaras too long because I always try to prolong my mascaras so I don't have to buy a new one too soon. However, once you open your mascara tube, the lifespan of the mascara is only one month. That means despite still having content in the tube, you will have to discard it and get a new one. The content dries up and become sticky in awhile. To avoid this problem when you don't have the time to get new one, try soak the mascara in hot water for about ten minutes. The heat will melt the mascara temporarily. I shared this tips with Christine, she said it doesn't work on Rimmel and Empro mascara. I've tried it on my L'Oreal, Maybelline, Essence and Revlon. They all work. If you put on eyeshadows before putting on the mascara, the fallouts might get trapped on top of your eyelashes. When you sweep your mascara on, the fallouts will cause your mascara to clump. Remember to clean the fallouts with lash brush first before you apply your mascara. Some mascara comes with swirl wand, some comes with straight wands, some have hard wand, some have soft ones. It really depends how the wand works with your lashes. I've tried some mascara that has really annoying wands that just don't fit with my lashes. The process of getting suitable mascara wand is like finding a perfect high heels that don't bite. When you find one that works, stick to it. When you're facing clumpy mascara, figure out what cause the clumps. Whatever the reason is, I hope you find the solution. Go and enjoy your week! I wish you girls have a gorgeous pair of lashes *wink*.